Description: Meltblown Nonwovens Fabric ,PP Meltblown Polypropylene Non woven,nonwovens for Oil absorbing bases,oil absorbing chains,industrial wipes and Pre-filter materials ect. Specification Composition: 100%Polypropylene width :100mm-1600mm weight :12gsm-200gsm Package: PE Film Applications: Oil absorbing bases,oil absorbing chains,industrial wipes and Pre-filter materials ect. Three factories are located in Beijing, Tianjin, Suzhou, each was founded in 19 April 1997, 5 December 2012 and 1 July 2016, total areas cover about 50000 SQMs, Now have 4 spunlace lines, total production capacity is 20000 T/year, Basci weight is 30-200gsm. we export 90 degree hot water soluble non woven fabric to many different countries , like India Pakistan,Vietnam and many other countries. 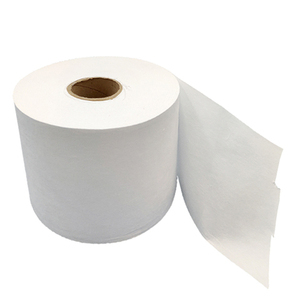 Contact Our factory advances in produce hot water soluble non woven paper,and it shows a great dissolving ability in hot water. It's mainly used in lace embroidery backing,and it's also widely used in curtain, table cloth and many other textiles. The specific delivery time depends on your order and destination. For other delivery times, please contact us for detail information. Q7.What is your payment terms9 A:30% deposit in advance and 70% balance after shipment. Hefei Fast Nonwoven Products Co., Ltd.
Also, because the meltblown nonwoven became the best choice of absorbing materials. It can absort 17-20 times bigger than its own weight of oil, in environmental protection, you can make absorptions felt, oil filter, etc. 4) Clothing Materials Meltblown nonwovens by the microfiber into a net, so its very soft feel. 10-30gsm meltblwon nonwoven fabric for medical/hygiene such as cap,mask,gown, baby diaper (2). 15-70gsm usually use for agricultural covers,wall cover (3) . 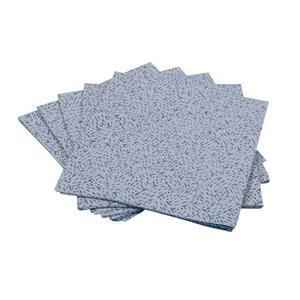 50-100gsm use for shopping bags, suits pockets,gift bags,sofa uphoistery (4) . Best service: Your inquiry related to our products or prices will be replied in 12 hours. 6.OEM are any your customized products we can help you to design and put into production. Thanks for your interests in our products, we appreciate your enquiry. Hefei Fast Nonwoven Machinery Co., Ltd. Flexibility of products is suitable, 3. Water resistance and breathability: Slices of Polypropylene and finished products resist water, breathable and easy to maintain and wash. 4. Non-toxic, non-irritating: Made of materials which catch up FDA standard, without other chemical composition, stable, non-toxic, no smell, safe for sensitive skin. 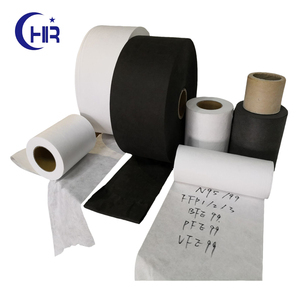 We can specially offer 0.015M to 36M width Nonwoven Fabric which is widely used in Health, Hygiene, Medical, Packaging, Agriculture, Furniture Upholstery, Shoes and Garments. 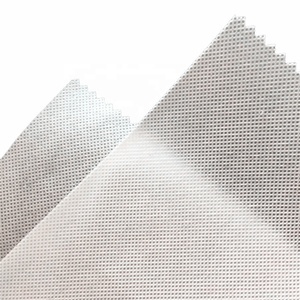 Jiangyin Fly Nonwoven Products Co., Ltd.
Alibaba.com offers 3,490 meltblown nonwoven fabric products. About 56% of these are nonwoven fabric, 43% are 100% polypropylene fabric. A wide variety of meltblown nonwoven fabric options are available to you, such as free samples, paid samples. There are 3,399 meltblown nonwoven fabric suppliers, mainly located in Asia. The top supplying countries are China (Mainland), Vietnam, and Russian Federation, which supply 97%, 1%, and 1% of meltblown nonwoven fabric respectively. Meltblown nonwoven fabric products are most popular in Domestic Market, North America, and Southeast Asia. You can ensure product safety by selecting from certified suppliers, including 1,114 with ISO9001, 172 with ISO14001, and 70 with Other certification.